The AE50 award was given to Kuhn for its FC 3160 TLR side-pull disc mower conditioner and its SW 4014 square bale wrapper, deeming each machine one of the year’s most innovative designs in engineering products for the food and agriculture industries. Both machines will be featured in the January/February 2016 special AE50 issue of ASABE’s magazine Resource: Engineering & Technology for a Sustainable World. 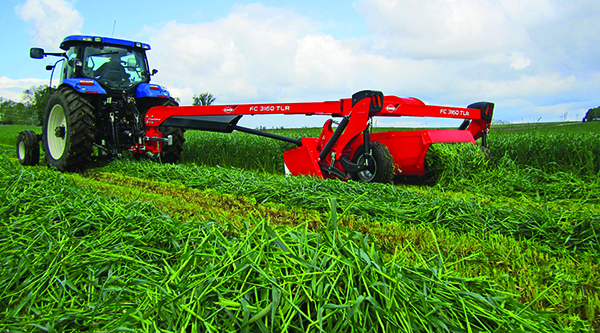 The Kuhn FC 3160 TLR side-pull disc mower conditioner is designed to increase productivity and maximize the nutritional value of forage crops. The Diamond Block® roller-style conditioning system allows quick dry down by using a horizontal diamond pattern that gives the crop more points to be crimped as it comes off the disc. The direct drive system has no belts to adjust and includes a shear bolt on the main gearbox to provide protection in adverse conditions. The Optidisc® cutterbar, with differential disc spacing and lubed-for-life reliability, ensures a clean cut and even crop flow. Crop layout can be varied from a 3-foot windrow to 75% of the cutting width as standard. The versatile, self-loading SW 4014 square and round bale wrapper features an AutoLoad function for non-stop automatic wrapping. The laser-guided AutoLoad feature detects approaching bales, scans the length of the bale, and sets the loading arms into preload position, ensuring accurate on-the-go loading and unloading. 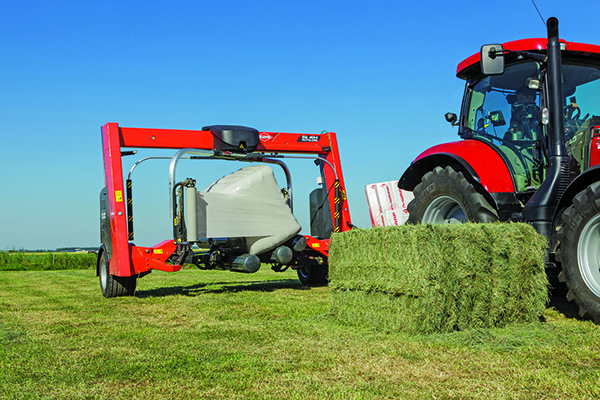 AutoLoad increases productivity by up to 15%, which reduces the time the bales sit unwrapped in the field and preserves silage quality. Its solid design makes it extremely stable. Forage growers will notice the increased wrapping capacity, and operator comfort is enhanced with in-cab controls through ISOBUS compatibility. In addition to the AE50 award, the Kuhn SW 4014 was also awarded silver medal innovation awards at the 2015 Agritechnica and Agribex shows in Europe. Kuhn North America, Inc., of Brodhead, Wisconsin, is a leading innovator in agricultural and industrial equipment, specializing in spreaders, mixers, hay tools and tillage tools. Kuhn-, Kuhn Knight- and Kuhn Krause-brand products are sold by farm equipment dealers throughout the United States, Canada and many other countries.